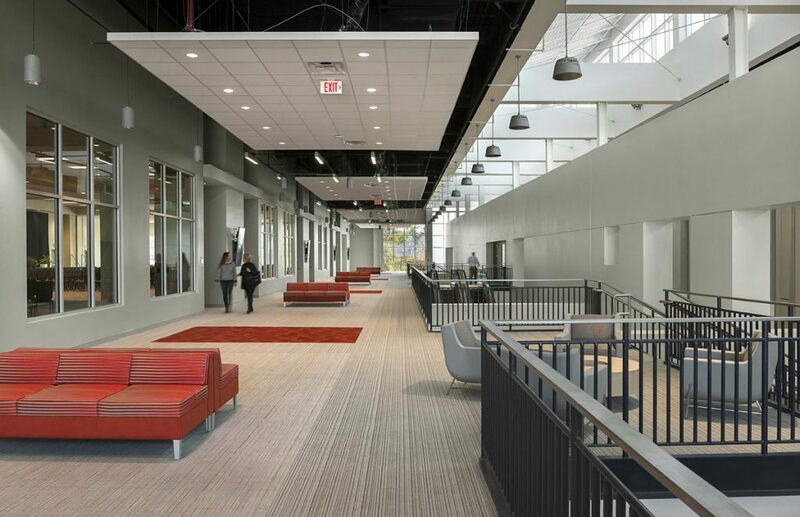 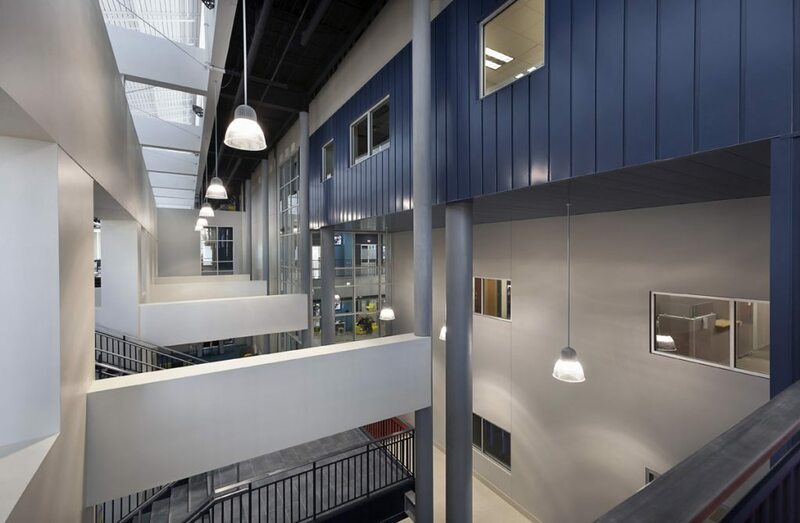 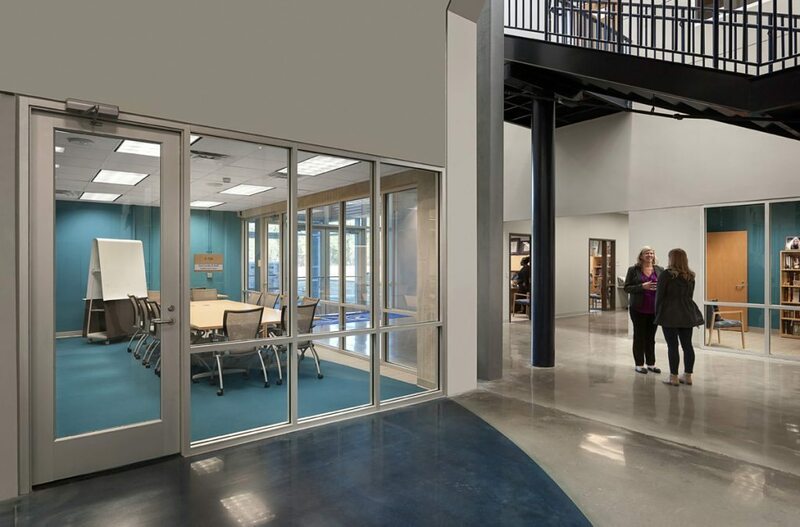 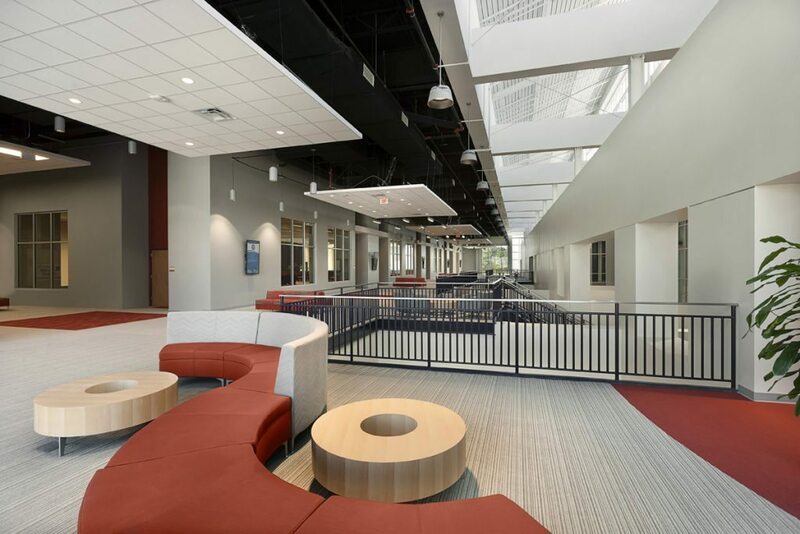 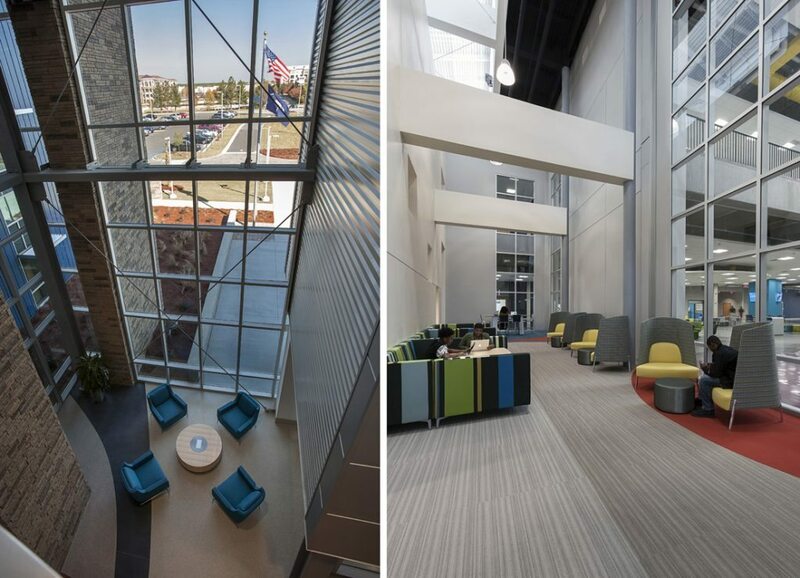 A Design-Build project, the Richland Two Institute of Innovation (R2i2) facility provides district-wide career technical education utilizing 21st-century skills for the jobs of the future. 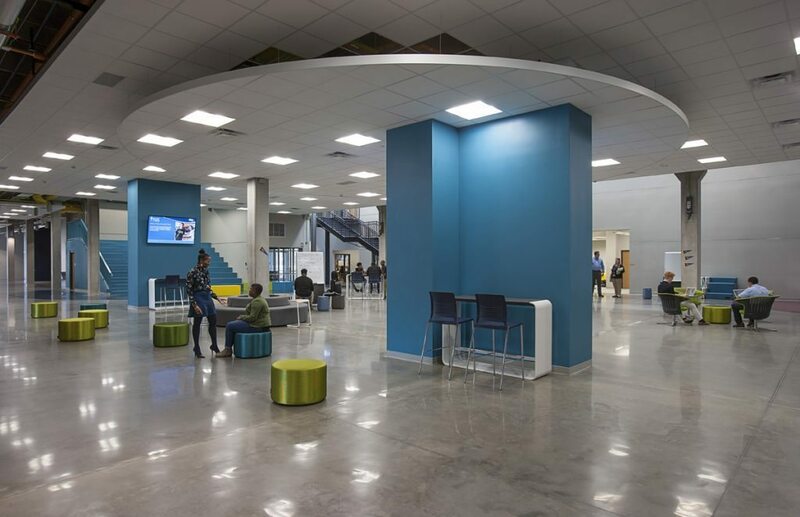 R2i2 offers new courses such as supply chain logistics, Apple application development, and—the latest addition—energy courses, held in a real-life solar lab. 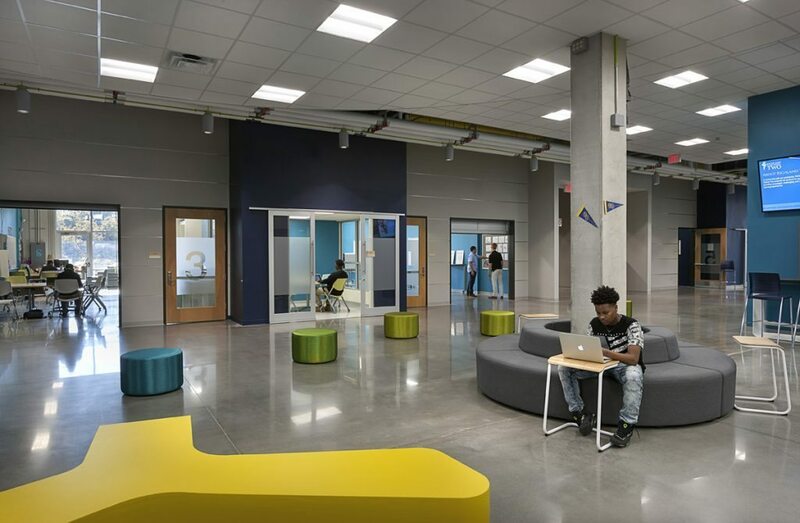 A solar curriculum gives students not just a front-row seat, but also an active role, in the solar industry job growth that is quickly spreading across the nation. 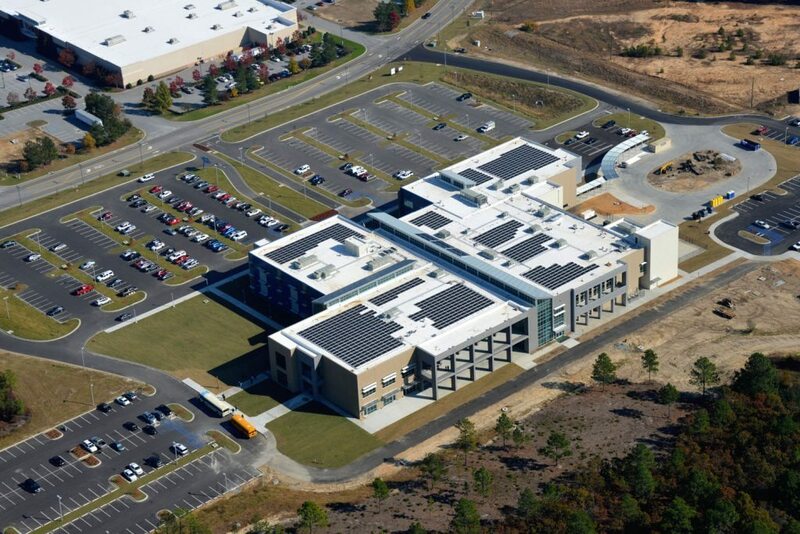 Our team took advantage of the SCE&G’s Renewable Energy Bill Credit Agreement Program by offsetting some of the building’s energy costs with a rooftop solar system.